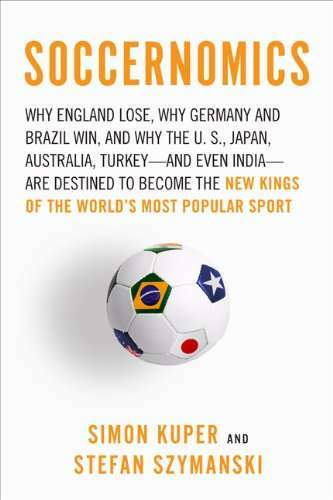 Soccernomics has been called “the Barcelona of football books” and the “Moneyball of soccer.” On Tuesday, April 16, FSF discussed this influential book with the authors: Stefan Szymanski (in East Lansing) and Simon Kuper (via Skype). One of the most important questions asked was: How does the introduction of big data and “soccer analytics” change our understanding of fútbol clubs, fans, and nations? The forum also featured intriguing comparisons between Western Europe and the United States. 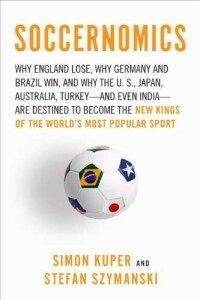 Joining the authors were: Andrew Guest, Brian Bunk, Christoph Wagner, Corry Cropper, David Kilpatrick, James Dorsey, Mark Siegel, Hikabwa Chipande, Christian Orlic, Benjamin Dettmar, Peter Demopoulos, Steven Apostolov, Tom McCabe, Alex Galarza, and Peter Alegi. For Twitter timeline click here, with many thanks to @DrDKilpatrick & @galarzaalex.